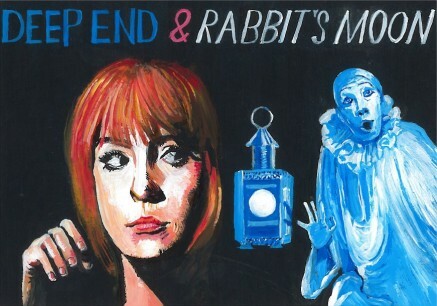 A "live" cinematic event featuring a one-off opportunity to experience Keneth Anger's Rabbit's Moon (1950) with its original doo-wop soundtrack performed live, and Jerzy Skolimowski's Deep End (1970) with sultry and darkly comic appearances by Jane Asher and Diana Dors, and music by Can and Cat Stevens. The Female pool is a perfect setting for these iconic films but you will need to wrap up warm as the building can be cold in October. Music in the bar after the screenings with the infamous Manchester vocal group The Krays (and band).